Information Technology and Electronics Asset Disposition (ITAD) is an important step in protecting data on outdated electronic devices. Technology changes constantly and outgrows its usefulness. Rather than have tons of obsolete or outdated electronics end up in landfills, electronics recycling and e-waste companies like ERI Direct recycle or give new life to this e-waste. Here are the facts. According to the Global E-waste Statistics Partnership, the total amount of e-waste in 2016 was 44.7 million metric tons. That’s a little over 98,000,000,000 pounds, and that was three years ago. The number continues to increase. Every computer, server, printer, monitor, phone/fax, copier, etc. that your company replaces adds to the world’s growing tonnage of e-waste. If you think of 98,000,000,000 pounds as being the equivalent of 9.8 million elephants, that’s what could get dumped in landfills around the world. That’s only electronics. There is also paper, plastic, wood, and food waste generated in homes and businesses each day. Electronics have so many components that can be recycled. Glass screens, copper wiring, plastic and metal parts, circuit boards, and light bulbs are among the items that can be recycled and reused. You can do your part by recycling as much as you can including e-waste. That’s where ITAD services come in. What Exactly Does an ITAD Company Do? ITAD companies perform several tasks to properly dispose of electronic waste for many types of businesses. They help with data destruction and e-recycling in banks, casinos, government offices, retailers, and medical buildings. With state and federal laws all impacting how electronics are recycled by these different industries, you need to carefully consider where your unwanted electronics end up. 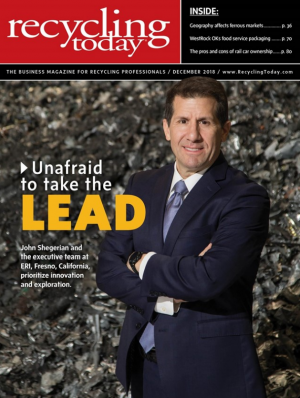 ITAD goes a step further than just straight recycling, however. An ITAD service provider will help remarket your assets to resell either data sanitized devices or parts harvest those devices and sell the parts. This helps companies recover some of the costs of ITAD and maximize the value of their assets. When you recycle an electronic device, there can be sensitive information on hard drives. In the wrong hands, the theft of this information could lead to identity theft. By law, you have to keep your client’s or customer’s information protected. You also have all of those electronics to dispose of. You’re not facing two issues. You have data to destroy and items you don’t need. ITAD helps by disposing of the unwanted electronics and destroying the data using several processes. Data destruction protects your company’s sensitive information and also protects the people buying or using your product or service. Recycling your e-waste protects the environment. If you decide to have your e-recycling refurbished for reuse, there can be money involved. If there is still monetary value in the items you’re recycling, you may be able to get some of the value returned to you. What Qualities Should You Look For When Choosing ITAD Services? Do not let just any ITAD service handle your e-recycling and data destruction needs. There are a few questions you must ask. Is on-site data destruction available? Which data destruction methods are offered to ensure data is destroyed? If the decision is made to have data destruction done at your facility, is real-time visibility and tracking offered? Do you videotape the data destruction? What steps are taken to make sure everything reaches the processing facility? Do you use bar codes, TSA-certified drivers, secured/lock boxes? Do you offer e-recycling kits for a company to pack their own electronics for e-recycling? How long will it take to destroy the data and recycle or remarket the electronics? What certifications do you hold for data destruction and e-recycling? Finally, you need the ITAD and e-recycling company to be able to destroy data at the level of compliance your company needs. There’s a difference in the level of data destruction a store would need compared to the needs of a military base. 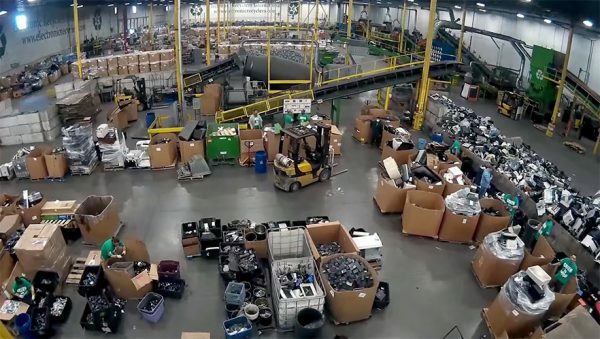 ERI Direct is the largest ITAD and e-recycler in the United States. Data destruction can be performed at your business or at an ERI facility, and you can log into MyTrackTech for real-time tracking. Motion-detecting video cameras and alarm systems, guards, and fenced perimeters ensure the security at each of ERI’s eight facilities. The company holds the highest certifications for data destruction and e-recycling certification from several agencies including e-Stewards, NAID, and R2. Call 1-800-ERI-DIRECT to talk to a specialist about managing your company’s e-waste.